I recently saw this viral video on Facebook of a sushi donut being made somewhere abroad (I think it was in the States), and just seeing it made me drool. Like I mentioned in an earlier post, I’m a sucker for all kinds of Japanese food and sushi donuts were definitely something I wanted to try! Not even two weeks later and I was sent my very own box from Sushido PH, Manila’s first ever sushi donut! 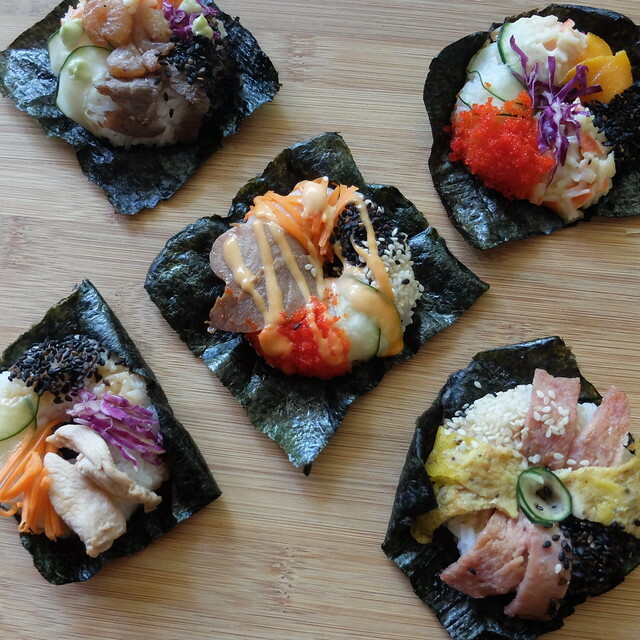 It was so much fun taking photos of their sushi donuts, because they’re all so colorful and pretty. They have five flavors: Spicy Tuna, Surf and Turf, Chicken Teriyaki, California, and Spam. 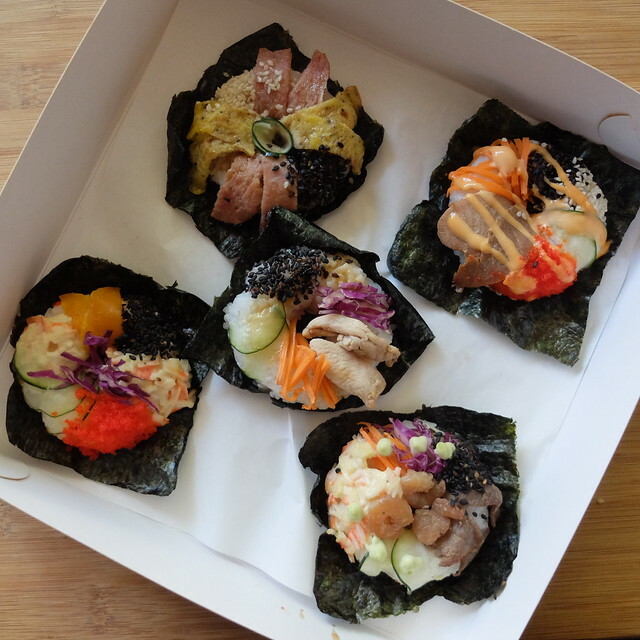 Each piece is made with sticky rice and wrapped in fresh ingredients, then placed on top of a nori to make it easier to eat. My favorite was Chicken Teriyaki! I ate it the moment I received the box last week, and I still can’t help but crave for more. Sushido sells them at Php 120 per piece, and comes in boxes of 3’s, 6’s, and 12’s. 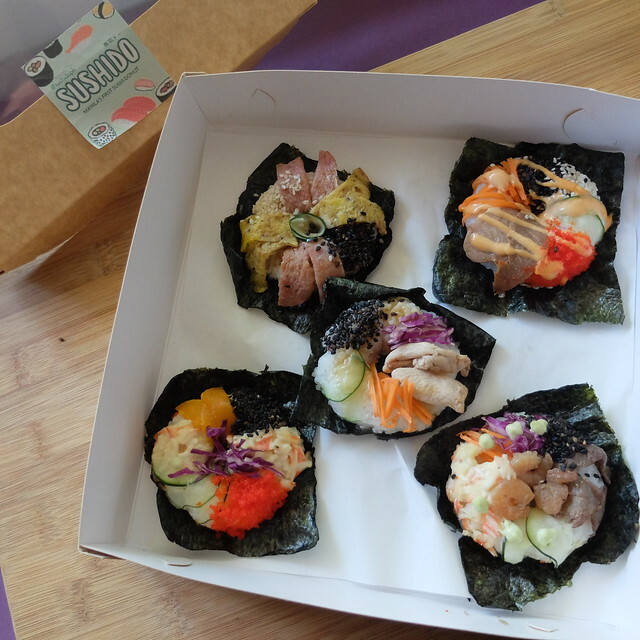 You can catch their stall every Sunday this March at The Grove Rockwell, or you can order them fresh at sushidoph@gmail.com. 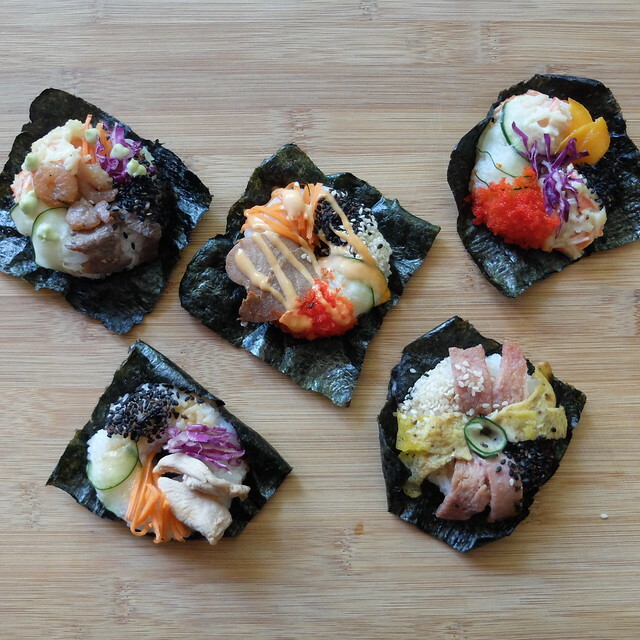 Have you heard of Sushido already? Which flavor are you excited to try?